Northamptonshire County Council has approved an outsourcing plan that could move 95% of its core staff to suppliers. 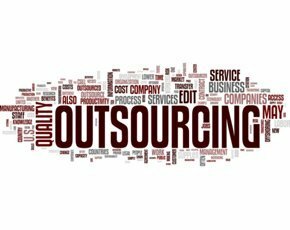 In December 2014, Northamptonshire County Council’s revealed its plan to reduce its in-house workforce from 4,000 to 150 over the next five years, as it moves to an outsourced model for all council services including IT. According to the Northampton Chronicle & Echo, the council will outsource services to mutual companies over the next five years. The local authority will become a much smaller organisation and will commission others to provide services. It will be known as the Northamptonshire County Council Group. He said the transformation is required given substantial budget cuts. “When you are taking this sort of money out of services, you have to make tough decisions which we know will not be popular.” The council expects its budget to fall £81m in the next five years and the cost of services to increase by £99m in the same period. In December 2014, Northamptonshire County Council CEO Paul Blantern said there would be minimal redundancies, as most employees will be transferred to contractors. The 150 remaining in-house workers at Northamptonshire County Council will include those working in business intelligence and market development teams. One former IT head in local government told Computer Weekly it is important that councils retain some IT experience. The research of 267 council CEOs, carried out by the Local Government Journal and Hay group, revealed 51% of councils intend to outsource more, compared with 10% in 2013.